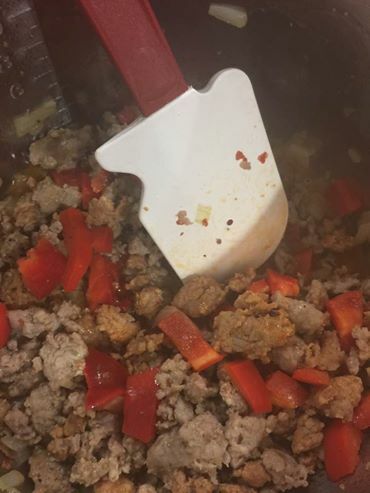 1 pound of mild Italian sausage, remove the casing, and chop up the sausage, into little bits. Place the olive oil, garlic and onions into the Instant Pot. Then press saute. When the olive oil it hot, add the sausages, cook until brown (5-6 minutes). 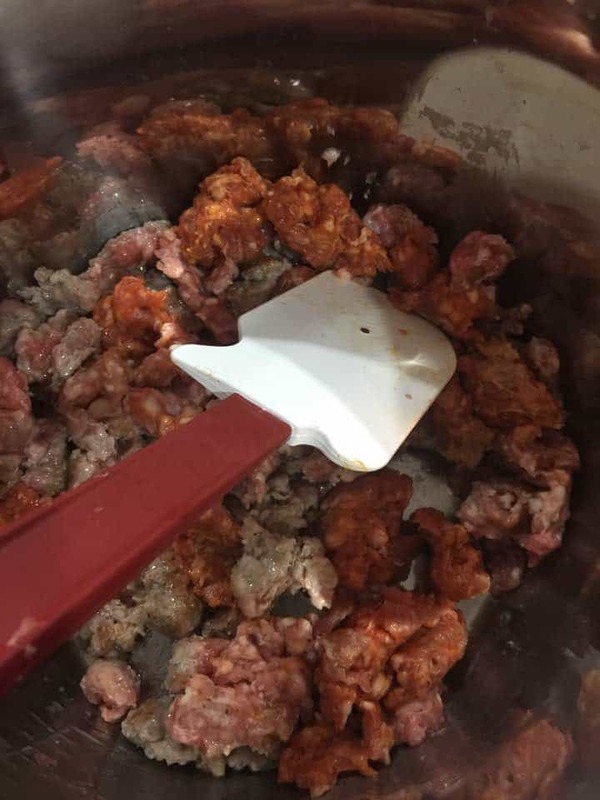 Make sure that you keep on stirring and moving the sausages so they do not get burnt. 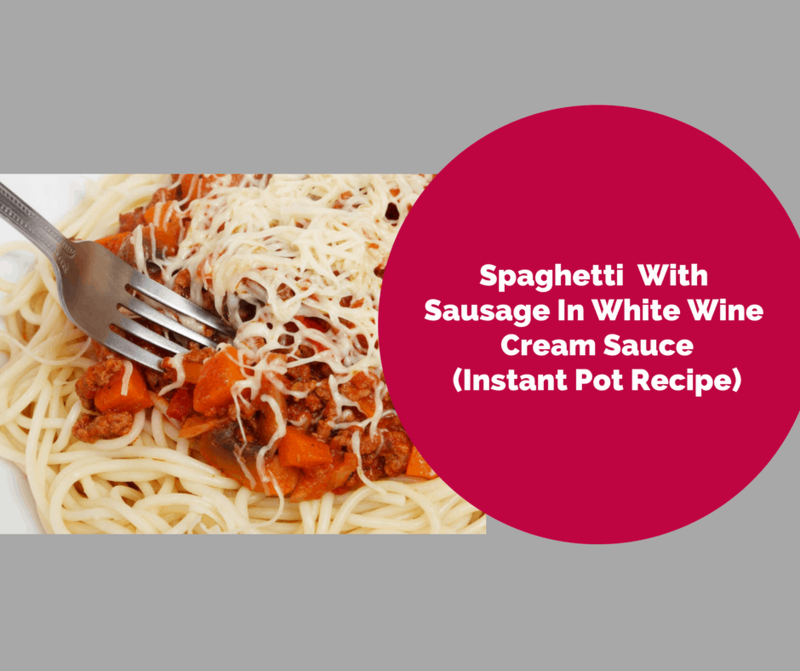 Add the white wine, and mix. Then add the pepper, spices, tomatoes water and pasta. Mix well. Place the Instant Pot lid on, and seal the vent. Cook on manual, high pressure for 5 minutes. Mix in the cream, stir well.